21 Ways to Declutter Your Business and Get Organized! - Part 1 - Minette Riordan, Ph.D.
Did you know that decluttering and getting organized can save you money and help you to make more money in your business? Over the next week I will share 21 ways to declutter your business. I find that my clients are overwhelmed by the details of running a business. These 21 tips will help you decide what you need to declutter the most and where you can get more organized in your business. Cleaning up chaos and restoring order to your business is all about finding the right tools and methods that work with you, your clients, your contractors—and your unique type of business. Apply as many of these 21 ideas as you can to help you stop yourself from sliding down the slippery slope towards overwhelm. But don’t try to apply all of them at once. Pick the ones that you think you will actually commit to getting done! In fact, create two—a master manual for yourself, and one with personal information missing for your VA or project manager. Why should you do this? If you are a solopreneur, this will help you get clear about all of the different tasks you are doing in your business and make it easy to start passing tasks off to an assistant. Plus, if something were to happen to you this, this document would allow someone else to step in and take care of your business for a while. 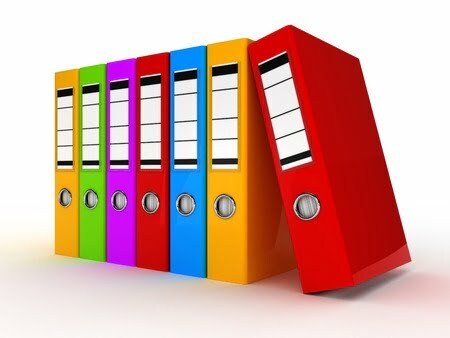 Your company manual should act as a complete package, should anything happen to you, so that whoever is cleaning up your business affairs can find everything they need, including your master password list, site URLS, contractors to be paid, instructions, business documents, bank accounts, credit cards, etc.—and the password to your computer! Remember that you can make your manual visual, colorful and playful. That’s my specialty – business doesn’t have to be boring. Notice how brightly colored all these images are, that is by design. My business plan, marketing plan and other planning tools are full of color, doodles and creativity as well as the practical. The trick to getting things done is to find the systems that work for you. Business doesn’t have to be boring. Create a colorful, visual plan. If you have a business bank account (mandatary for LLC companies or corporations, but not for sole proprietors) then apply for a credit card dedicated solely to your business. Use it to pay online subscriptions, web hosting fees and offline expenses such as gas used on business errands, stationery and other office supplies, and business travel. This makes tax planning and preparation so much easier. Plus, when you keep all of your personal and business expenses separate, you get very clear about what you are spending in your business! Did you have to pay taxes last year? Is your business already bringing in more income? Then estimate and project your next year’s taxes—and start putting a portion of each month’s income into your business bank account or a business savings account for taxes; or set up a tax payment option directly in your online banking and pay a portion every month. I owned a publishing company for 11 years, staying on top of our finances and our tax information was so important. We never got audited and we always knew exactly where we stood with our business. I had one client who got hit with a $10,000 tax bill she didn’t expect because she wasn’t prepared! These are just 3 of the key strategies to declutter your business and get organized. These are all foundational strategies! Tomorrow come back for more tips about productivity and saving time. Would you like to Discover Your Inner Marketing Genius? 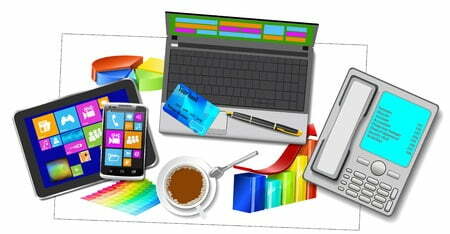 How to make marketing fun, effective and profitable! Thank you! I’m looking forward to reading all 21. What a great series. I like the way you are breaking the twenty one tips over a few posts. It makes it easy for people to take action and not be come overwhelmed. Thanks for not adding to the chaos. P.S. Love that you include #1. So often my clients don’t even think about creating a company manual. This is really the key to establishing a foundation of order in the business. What a great series and we are only on post 1. I know that I definitely need to get my online house in order. My stuff is all over the place and wouldn’t help anyone figure out what I do and where I do it. Glad it inspired you to take some action, Victoria. Thanks, Judy! Love all your smiley faces. This is such a great time of year to organize. Perfect timing for me to re-visit updating my office manual. 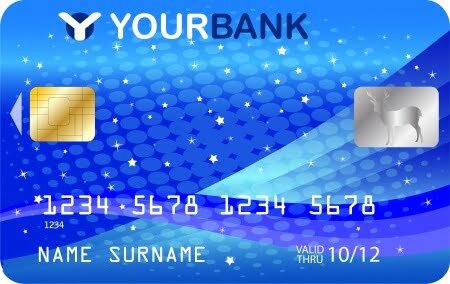 As far as a business credit card, I’d also suggest getting one with airline miles like the Capital One Venture Card. You can put your own photo on it so it is clearly differentiated from your personal card. I put a photo of me holding my book! Having a personal looking card is so fun! Thanks Minette. Looking forward to the next tips!